Mike’s produced albums for some of the most famous artists in British Rock and Blues including John Mayall’s Bluesbreakers (with Eric Clapton, Peter Green, Mick Taylor), David Bowie, Ten Years After, Savoy Brown, Fleetwood Mac (with Peter Green, Danny Kirwan and Christine McVie), Chicken Shack, Focus, Freddie King, Climax Blues Band, Level 42 and Roachford. In 2013 he was awarded the BASCA Gold Badge Award in recognition of his unique contribution to music. 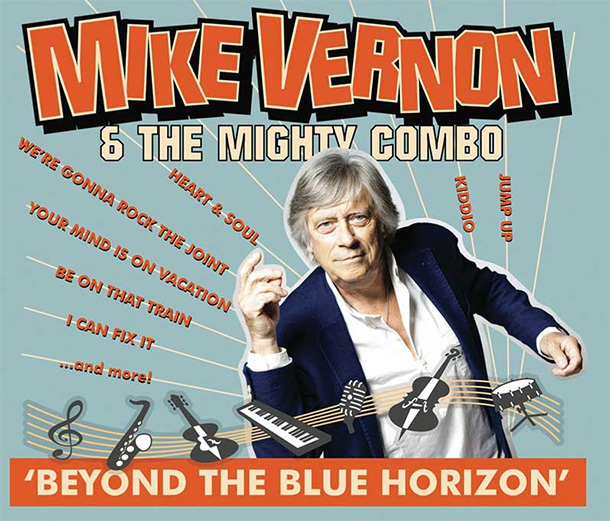 Mike is best known as the founder of the Blues record label Blue Horizon (Peter Green, Rory Gallagher, Paul Kossoff, Christone McVie) – a major ‘ground breaker’ in its time and still revered to this very day. “To be fronting my own R&B outfit has always been a dream but the right moment to make that transition never appeared until now,” says Mike.